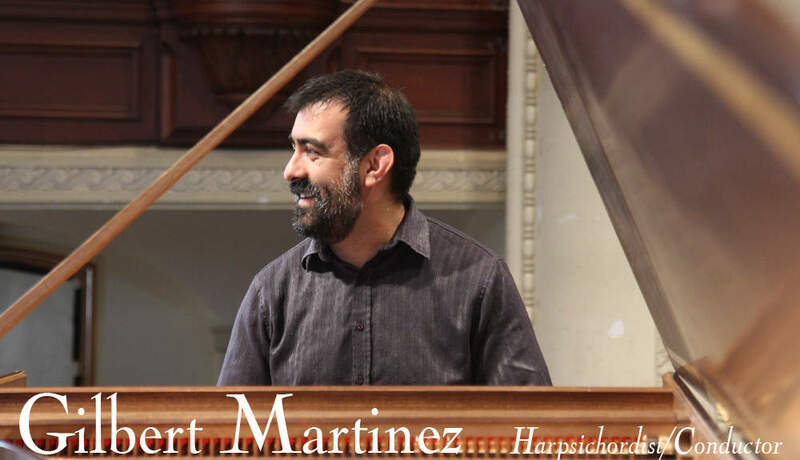 Gilbert Martinez, is the Artistic Director of MusicSources, Center for Historically Informed Performance Inc. in Berkeley. In five years as director, he has expanded MusicSources' concerts into an international series featuring scholars, performers and students from around the world. He studied harpsichord with MusicSources Founder Laurette Goldberg at the San Francisco Conservatory of Music, and subsequently went abroad to Italy to study briefly with Alan Curtis. Mr. Martinez was named assistant conductor to Alan Curtis in the critically acclaimed Berkeley/West Edge Opera production of Handel's "SERSE." He created the baroque orchestra for this wildly successful production, and the orchestra was singled out for its perfect ensemble by The San Francisco Chronicle, The San Francisco Examiner, and the Wall Street Journal. Baroque opera, ballets, masques, and renaissance fêtes are a particular interest of his. In 2007 he was responsible for a significant revival of "Delizie di Posilipo, Boscarecce e Maritime, 1620" in a co-production with the Theater Arts Department of U.C Santa Cruz and MusicSources. This culminated in a fully staged multi-media event that involved over 50 students, scholars and performers of Italian renaissance music. This grand coup of music and theater was an attempt to recreate the original 1620 choreography, costumes, scenery and "special effects" according to the eyewitness accounts from the period. On the MusicSources Concert Series he recently conducted a reconstruction of a Spanish Renaissance vespers service, with music for double and triple choirs of Tomas Luis de Victoria and his contemporaries. This coming season he will be performing the complete oeuvre for harpsichord of Jean-Philippe Rameau in concerts in Southern California. He recently performed a sold out all Rameau concert, made possible by Early Music Alberta. In addition to his concerts, he taught masterclasses in a mini residency with the University of Alberta, Concordia University and King's University. He recently conducted Monteverdi's "L'Incoronazione di Poppea" with West Edge Opera, featuring an all star cast. Currently he resides part time in Copenhagen, Denmark as well as San Francisco, California.